Dr. Weaver has worked with the Firm since 1987. He is involved in developing and shaping best practices for a variety of clients in the US and internationally. His consulting responsibilities involve evaluating medical quality processes and the leadership of the clinical function within EMS systems. He served as the Medical Director for Kansas City’s LifeFlight Eagle helicopter program for 20 years. 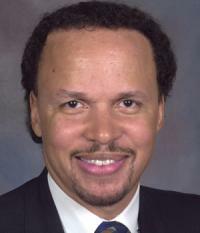 During this same period, Dr. Weaver directed a Level One Trauma Center and he now serves as the Vice President of Clinical Diversity for the St. Luke’s Healthcare system. Dr. Weaver is a clinical associate professor at the University of Missouri (UMKC) school of Medicine. He chaired the Governor’s Advisory Council for the Missouri Department of Health for a 10 year period and has also previously served on the Board of Directors of the Metropolitan Ambulance Services Trust and as the Vice Chair of the Emergency Physicians Advisory Board, which oversees medical control and quality assurance for the Kansas City EMS system. He previously served as President of the Missouri Chapter of the American College of Emergency Physicians and is active in a variety of professional associations and civic projects.